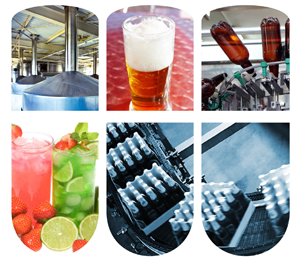 Beverage manufacturers deal with unique food safety challenges but also have similarities. Both have pathogen and shelf life concerns, and are continually looking for operational efficiencies to increase profitability. Both deal with a variety of packaging and track treatment challenges, as well as difficult soils and unique equipment. We understand that each plant is different and that the soils from the manufacturing process of designer drinks to the fermenting tanks at a brewery and everything in between are distinctive and require an individualized food safety program. Our HACCP-based BrandGuard® Food Safety Program follows the principles of the Global Food Safety Initiative and is tailored to provide you with affordable and sustainable solutions for your unique food safety cleaning and sanitation needs. To complement the BrandGuard program, we also offer water management solutions. For information please see Total Water Management.